Multiple District 19 of Lions Clubs International is administered by a Council Of Governors consisting of the seated District Governors and Immedite Past District Governors of each of the 9 MD19 Districts, the Council Chairperson, Vice Council Chairperson and Immediate Past Council Chairperson. Distrct Governors are elected at their respective District conferences, usually held in the spring, and serve 1 year terms over a fiscal year from July 1 through June 30. The Council Chair serves as the chairperson of the Multiple District and the Council Of Governors. Council Chairs and Vice Council Chairs are elected annually by club delegates, allocated based on club size, with the election being held at each District conference. Council Chairs and Vice Council Chairs also serve 1 year terms over a fiscal year from July 1 through June 30. The Council Of Governors typically holds 3 formal meetings each year: A Fall Council Meeting at the annual MD19 Convention, a Winter Council Meeting in February, and a Spring Council Meeting in May. MD19 holds an Annual Convention in the Fall, typically in October. Lions clubs in the Multiple District vote at the annual convention by delegates allocated to the clubs based on club size. The MD19 Executive Director, a full–time employee hired by the Council Of Governors, oversees day–to–day business operations. The MD19 office is located in Bellingham, Washington U.S.A.
At the first Convention, the delegates elected a President, First and Second Vice Presidents, Secretary/Treasurer, two Three–year Directors, two Two–year Directors and two One—year Directors. The delegates chose purple and gold as the Lions&apos; colors and Melvin Jones was authorized to open an office in Chicago, Illinois. The Lions Objects and Code of Ethics were drafted at this convention as well. At the second convention, held August 19–21, 1918, in Saint Louis, Missouri, the first district officers were appointed. The country was divided into single districts for organization and administrative purposes, appointing a District Governor for each district. These first districts were numbered from west to east with California, Nevada, Oregon, and Washington comprising District One. Our first District Governor was Jesse Robinson of Oakland, California. The first Extension Chair of the Lions organization was G.M. Cunningham whose official title was National Organizer. In November, 1918, it was announced in the first issue of “The Lion” magazine that the number of District Governors had been increased from three to nine. Lions became an international organization March 12, 1920, with the establishment of the Border Cities Lions Club in Ontario, Canada. The club was later named Windsor and was joined by clubs formed in Toronto and Hamilton Ontario. 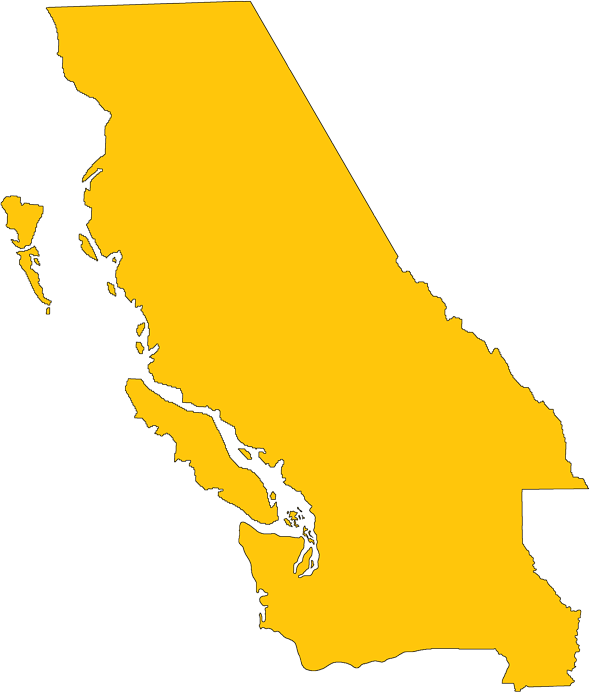 At the 1921 convention in Oakland, California, the Board of Directors redistricted the whole country and District One became District Four. When the District Governor of District Four reported that he could not efficiently administer the Lions activities in the Pacific Northwest, the Board, at an emergency meeting, formed Washington, Oregon, and British Columbia into District 19, a provisional district, with California and Nevada remaining as District Four. It is not clear when British Columbia was added to District Four prior to the division into Districts Four and 19. The official records regarding the first club in what is now known as MD19 are not clear or complete. It appears that in March of 1920 the Seattle Lions Club was organized, but cancelled in February 1921 because (apparently) it was waiting to have 100 members signed up before being chartered. The club reorganized in August, 1921. Meanwhile in May of 1920, the Everett Central Lions Club was organized, sponsored by the Seattle Club. The Everett Central Lions Club was officially chartered in 1920 before the Seattle Lions Club was reorganized into the Seattle Central Lions Cliub, so the Everett Central Lions lay claim to being the first chartered Lions Club in this area, even though Seattle Central is listed as the first organized club in what is now MD19. The oldest Lions Club in British Columbia is the Vancouver Central Lions Club (1921); however, the Spences Bridge and District Lions Club (cancelled in 1961) was the first club chartered in British Columbia. Tacoma, Washington was the third club organized in November, 1921. On March 2, 1922, the Spokane Central and on March 22, 1922, the Wenatchee Central Lions Clubs were organized. In April, 1922, with all District 19 clubs (Seattle, Everett, Tacoma, Spokane, Wenatchee, and Vancouver) represented at a conference in Everett, Washington, Ray Bigelow of Seattle was elected District Governor and scheduled the first district convention in Seattle for the following year. By that time, May 21, 1923, District 19 had the required 8 clubs (465 members) to be recognized as a full fledged district with the Bellingham Central Lions Club having been organized in October, 1922, and the Yakima Lions Club having been organized in December, 1922. However, at the Association Convention in 1922, Bigelow was elected Third Vice President of the Association. It should be noted that the International Association did not automatically promote Vice Presidents to President at that time. The reason Vice President Ray Bigelow did not continue on is not known. The Longview-Pioneer Lions Club was organized in November, 1923. In 1925, due to rapid growth, the Association separated Oregon from District 19, making it District 36, leaving District 19 with 13 clubs and 830 members. By 1936 District 19 had grown to 30 clubs with 1287 members. Recognizing the need for some sort of District organization, local leaders such as Ray Bigelow, of Seattle Central Lions (3rd International Vice President 1922–24), Harlan Payton of Spokane Central Lions, Harry Cahalen of Yakima Lions, and Abe Lund of Seattle Central Lions set up the “Board of Control”. The Board consisted of the District Governor, two Deputies (one from east of the mountains and one from the west), a District Secretary, and 3 Board of Control Members. All but the Deputies were elected at the district convention. The Deputies were appointed after consultation with the leaders on either side of the mountains. International developed a new plan of organization in 1927 dividing districts into zones. The first information was not too clear regarding zone boundaries and the functions of Zone Chairpersons. Each district elected a District Governor who appointed his Cabinet, Secretary, Deputy District Governors, and Zone Chairpersons. The first real effort to form a standard organizational plan involving cabinets and various districts in District 19 (only slightly resembling the present organization) came about under District Governor John Lampert of Yakima, 1930–31. According to Association records, Northern Idaho somehow became attached to District 19 in 1936, although none of the existing MD19 Idaho clubs were organized until June of 1941 (Bonners Ferry and Coeur d’Alene). Sometime around 1943, Alaska became attached to District 19 for a very brief period until the area was reorganized aligning Alaska with the Northwest Territories before it ultimately becoming District 49 by itself. In 1939 District 19 had grown to 55 clubs from the original nine clubs in 1923. These clubs were governed by one District Governor and five Deputy District Governors. In those days, the Deputy District Governors and Zone Chairpersons were observed during the year and their abilities weighed. The outstanding Deputy of the five was usually elected District Governor and the outstanding Zone Chairpersons were appointed Deputies. Each summer or early fall, the Zone Chairpersons and Deputy District Governors met for a rather intensive indoctrination course. Each was given a folder outlining his responsibilities. By July of 1944, the Association had 4,447 clubs and 177,579 members in 13 countries, having expanded into China and Ibero–America. District 19 had 87 clubs and 3,678 members. There were still five regions each with a Deputy District Governor and Zone Chairpersons. Through the year 1946–47, District 19 had always been organized and administered as a single district with a district cabinet comprised of the District Governor, Deputy District Governors, Zone Chairpersons, and Cabinet Secretary. With 111 clubs and 6,254 members in June of 1946, effective administration by a single District Governor had become impractical. While traveling on the ferry from Victoria to Vancouver, District Governor Jack Peddycord, Bellingham Central Lions, Immediate Past District Governor Don Wike, Walla Walla Downtown Lions, and District Secretary Virgil Warren, Spokane Central Lions, worked out the original organizational plan that Multiple District 19 basically follows today. Their goal was to take the best parts of all plans and come up with the best Multiple District organizational plan in the International Organization. These men chose not to adopt the standard form multiple district organization, i.e. a multiple district council comprised of the district governors, one of whom the council members themselves elected chairman of the council (traditionally the governor hosting the annual multiple district convention). In 1947–48, their plan was initiated with the district being completely reorganized into a multiple district composed of Washington, Northern Idaho, and British Columbia with 138 clubs and 5 districts. The District Governor&apos;s office was changed to that of Chairman of the Cabinet with this officer being elected at the annual multiple district convention. The regions were renamed districts (sub–districts) with the 5 Deputy District Governors becoming 5 District Governors. These District Governors were elected at their district meetings held in conjunction with and at the annual multiple district convention instead of at their own respective sub-district conventions, the usual or standard association practice. The District Secretary&apos;s Office was retained as Cabinet Secretary since there was only going to be one Cabinet. The organizers did not see the need of additional officers so the office of Deputy District Governors was eliminated. There were 15 Zone Chairpersons and this office assumed more importance. The Zone Chairpersons were elected by a “zone council” comprised of the club presidents and secretaries in the zone instead of being appointed by the District Governor, the standard association practice. The first Chairperson of the Cabinet was elected in the same manner as the District Governor had been under the prior organizational structure. Henry Backstrom of Arlington, Washington, who had previously served as Deputy District Governor, became the first Cabinet Chairperson under the new plan. The new organizational structure was submitted to the clubs for approval as provided in the Constitution and Bylaws, but there were no qualifications included in the plan for a candidate desiring to run for Cabinet Chairperson. Later the Bylaws were changed to provide that only Past District Governors could run for this position. Many officers from other districts have written for the MD19 organizational plans. The advantages are many. MD19 has preserved a single district operation, yet has individual sub–districts that are united by mutual interests and needs. MD19 has one Executive Secretary–Treasurer who serves from year to year, which provides continuity rather than having a new Cabinet Secretary appointed each year. The single Council is organized in a manner that provides for equal representation from each district and encourages strength and unity. In 1950–51, District 19–F was created from Districts 19–E and 19–D resulting in 6 District Governors and 23 Zone Chairperson. The Multiple District had 176 Lions Clubs at this time. Lions Clubs International&apos;s growth mirrored MD19&apos;s. By July, 1954, the Association had nearly doubled to 11,024 clubs, 501,488 members in 50 countries. The International Board of Directors was comprised of the five Executive Officers: President, Immediate Past President, and three Vice Presidents and a varying number of International Directors. In 1958, C.A.R.E. was adopted as a Multiple District project and has been given strong support since that time. In 1961, the Lions International Special Representative (Extension Representative) to Multiple District 19, Jack Cooper died of a heart attack. Gordon Smith, Multiple District 19 Cabinet Secretary was hired by Lions International to assume Jack’s duties. It was the Special Representative&apos;s job to extend Lions Clubs throughout Multiple District 19. This position was held by Gordon Smith until his retirement in 1985. When Lions Clubs International decided it was not going to support this program financially, the Council of Governors voted to budget the funds to increase Gordon Smith&apos;s salary in order for him to continue as the extension representative in MD19, as well as serving as the Multiple District Secretary–Treasurer. Much of the International Association&apos;s growth was outside the United States and the clubs, districts and countries around the world continued to clamor for more representation on the Association Board. A fair and representative plan was not developed until 1962, at which time the association had 16,502 clubs, 655,237 members in 99 countries. At this time MD19 had 275 clubs and 10,875 members. In 1962, the International Board of Directors divided the world into eight geographical areas with 26 directors: 15 from the U.S.A. and affiliates; one from Canada; one from Mexico; three from Ibero-America; three from Europe; one from the Orient and Southeast Asia; one from Africa and Southwest Asia; and one from Australia and the South Pacific. After Gordon Smith&apos;s retirement, Lions Clubs International hired a Lion named Harvey Calame to be the Extension Representative for all of MD19 and Oregon (MD36). When Harvey died of a heart attack in the summer of 1986, this position was not filled by a paid staff member. Extension work was done by individual Lions on a volunteer basis and there was no real continuity in the program. Since that time, several different extension programs have been tried with varying results. At the present time, Lions Clubs International has initiated a new program, which provides for the appointment of Leadership, Membership and Extension Chairpersons. These positions are volunteer positions and the Chairs serve for three–year terms. 1963–64 District 19–C was divided to create Districts 19–C and 19–G. MD19 now had 299 clubs and 7 District Governors. 1966–67 District 19–A was divided and created District 19–H. MD19 had 321 Lions Clubs, 8 Districts, 31 Zone Chairpersons, and 12,595 members. 1970–71 Districts 19–A and 19–H were reorganized to create District 19–I. This resulted in the current 9 Districts but with only 46 Zone Chairpersons and 375 Clubs. In 1968, the Multiple District adopted a second Multiple District 19 project and the Washington/Northern Idaho Lions Sight Conservation Foundation and Eye Bank were created. This has become an outstanding project. On December 24, 1975, the Lioness Program was initiated with the chartering of the first Lioness Club in Mount Pleasant, North Carolina. This program captured the imagination and loyal support of both Lions and ladies in MD19. The Lioness who chose to serve those less fortunate in their community through this branch of the Lions family have done so with an enthusiasm that is surpassed by no one. In 1970, the British Columbia Lions Society for Crippled Children (now known as the B.C. Lions Society for Children With Disabilities) was established at the Annual Convention in Penticton, B.C. This project has gained world–wide acclaim because of its magnitude. In 1980 the MD19 Lions Hearing Conservation Foundation was established and has gained the loyal support of the Lions in MD19 who realize the importance of helping those with this hidden challenge in life. In 1998, the Washington/Northern Idaho Lions Sight Conservation Foundation and the MD19 Lions Hearing Conservation Foundation merged. The Lions in British Columbia are presently organizing a Hearing Foundation to serve the hearing impaired population in B.C. In 1980 the Lions International Association had grown to 33,864 clubs and 1,288,398 members in 145 countries and Multiple District 19 had 512 clubs with 18,451 members. The MD19 Office records, memorabilia and equipment were literally evicting Executive Secretary Gordon Smith and his wife from their residence. All MD19 clubs were assessed and, with one or two exceptions, each paid a fixed amount per member allowing the Multiple District to incorporate and purchase its present office building in 1983, located in Bellingham, Washington. June, 1990, found Lions Clubs International at 39,734 clubs with 1,369,955 members in 165 countries with 545 of those clubs and 17,759 members located in Multiple District 19. During the early nineties, the practice of electing District Governors at the Multiple District 19 Annual Convention was changed. The District Governors and Zone Chairpersons (i.e. sub–district officers) were now elected at their own sub–district conventions. Prior to 1990 some districts started electing Assistant District Governors or District Governors–Elect and now in conformance with the Association&apos;s Constitution, each district in MD19 elects Vice District Governors at their annual sub-district convention. Since the 1923 Lions International Convention, when this area had only 9 clubs and 465 members, Multiple District 19 has grown to 473 active Lions Clubs with over 13,247 Lions. The original Cabinet is now called the Council of Governors and consists of 22 members: Council Chairperson, Vice Council Chairperson, Immediate Past Council Chairperson, 9 current District Governors, 9 Immediate Past District Governors, and the Executive Secretary/Treasurer, who is a non-voting member. Lions Clubs International currently has just under 1,500,000 members in 46,000 clubs in 743 districts and more than 200 countries and geographical areas. One last remarkable aspect of the Multiple District 19 record, starting with Ray Bigelow&apos;s election as Third Vice President at the 1922 Convention, Multiple District 19 has provided a steady and continuous stream of distinguished Lions to serve on the International Board of Directors. These Lions have helped to “perfect the organization and to make plans for its expansion”. Multiple District 19 has long been, and remains, an integral and leading district in this greatest of service organizations, Lions Clubs International. * As gleaned from the Archives of Lions Clubs International and Multiple District 19 by Past International Director Orly J. Sorrel and Past Executive Secretary–Treasurer Gordon F. Smith, October, 1998.